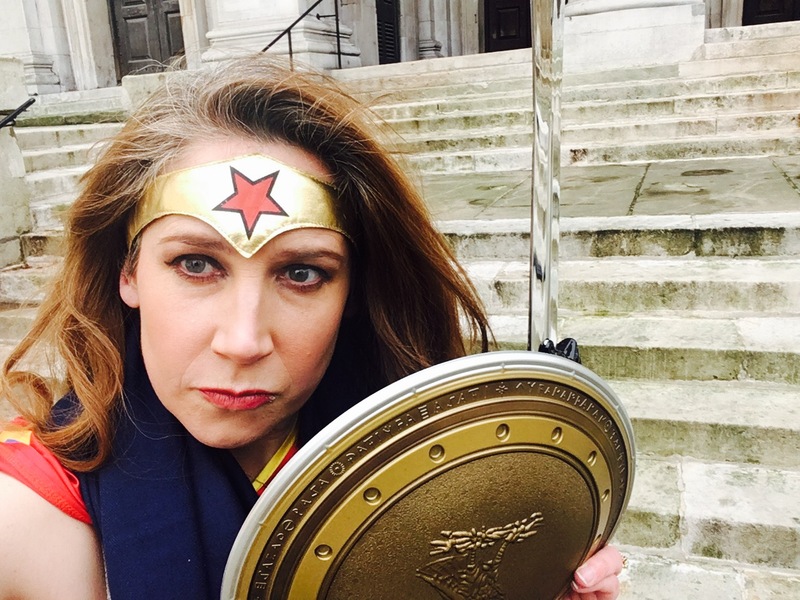 The nice people at BBC1’s This Week had the crazyass idea of making me be WONDERWOMAN to mark International Women’s Day. Personally I think this was an insult to Lynda Carter and hotpant fans everywhere but I embraced the challenge. After a great deal of wrangling and BBC protocol it was finally decreed that I was allowed to keep the costume afterwards. Result.